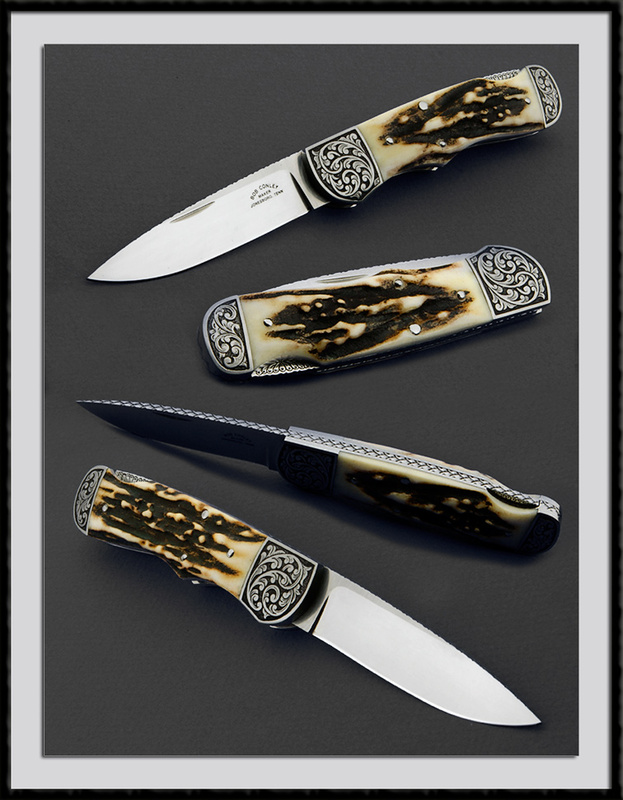 American Knife Guild member, Bob Conley crafted this fancy Rear Lock folder, ATS-34 blade steel, BL = 3" 1/4, OAL is 7 1/2", 416 SS frame and Stag scales accented with Engraved double bolsters and a file worked spine inside and out. Condition is Mint. Engraving by "B3".